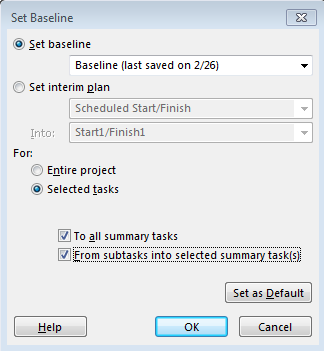 Microsoft Project 2016 gives you the ability to set multiple baselines. This allows you to save all baseline fields up to a total of 11 times for each project. 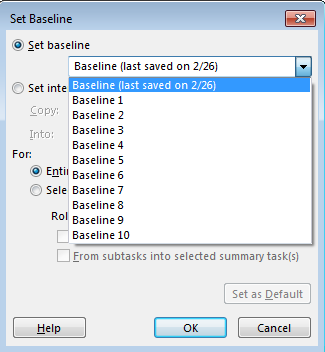 Both the Save Baseline dialog box and Clear Baseline dialog box have a drop-down list for each of the 11 baselines. When a baseline is saved, a date stamp is also stored with the baseline and is displayed in the dialog box for future reference. These multiple baseline fields also let you choose which baseline you want to use in earned value calculations. 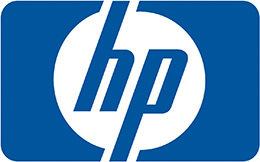 These selections are available in File:Options:Advanced under Earned Value options for this project. The Baseline for Earned Value calculation option in this section allows you to choose which baseline should be used in calculations. After you save a baseline plan and begin updating your schedule, you may want to periodically save an interim plan, a snapshot of the evolving project plan at a time of your choice. For example, on a project lasting longer than a year, you might decide to save an interim plan on a quarterly basis, either for your own information or for reporting purposes. You can save up to ten (10) interim plans for each schedule. Since interim plans contain start and finish dates only, they help you to compare changes in the scheduled dates of tasks. They’re also useful for analyzing the accuracy of your scheduling estimates and determining when your schedule began to get off track. 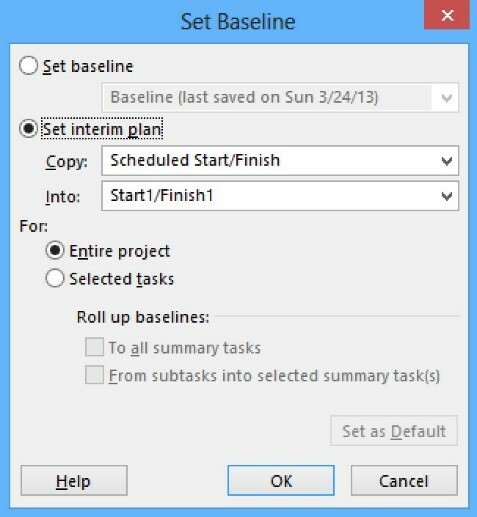 1 From Project:Schedule click the Set Baseline icon and select Set Baseline…. This prompts the Set Baseline dialog box. 3 Accept the default Entire project option and click OK. The Start and Finish values for the current plan tasks will copy into the Start1 and Finish1 fields. Your interim plan is set. You can use these fields as the parameters for a new bar with a different appearance if you want to show the snapshot on the Gantt Chart for reporting purposes. 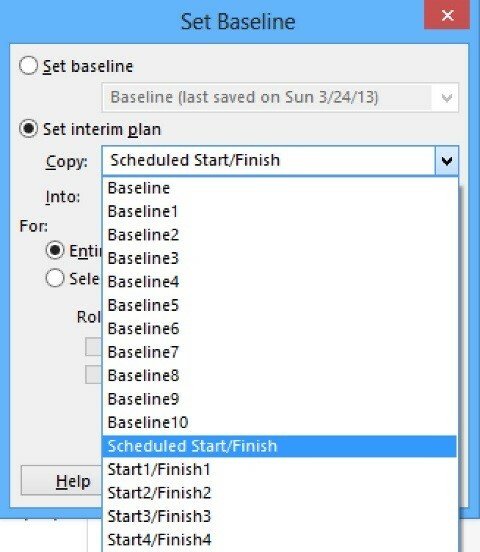 These options allow you to move one baseline to another or convert a baseline to an interim plan. Baselines contain a complete set of project data fields, including start and finish, duration, work, and cost. Interim plans, on the other hand, contain only start and finish dates for the tasks in the plan. Also, selected tasks can be saved into a specified baseline. This technique can support rolling wave planning, where detailed plans are constructed only for a limited timespan. 2 Keep the default Clear baseline plan option button selection. 3 Keep the default Entire project option button selection. 4 Click OK. Your baseline is cleared. In Microsoft Project 2016, Project Server administrators have the option to lockdown a user’s ability to save baselines. 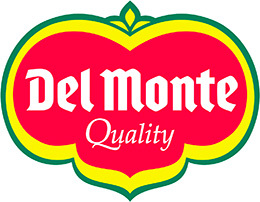 Once you agree on a baseline, an organization can prevent a project manager from changing it. This feature is invoked and controlled via the Global Permissions setting for each group (or in the security template for each group). Note: A Project Server administrator controls the global permission settings through Project Web App.